I wouldn't know what to do if I didn't have tv. I love tv for live sports, Netflix movies, tv shows, news, etc. It's like the perfect entertainment for a dvd night and for entertaining. The Samsung UN55H6300 55 inch LED LCD TV allows you to just that. 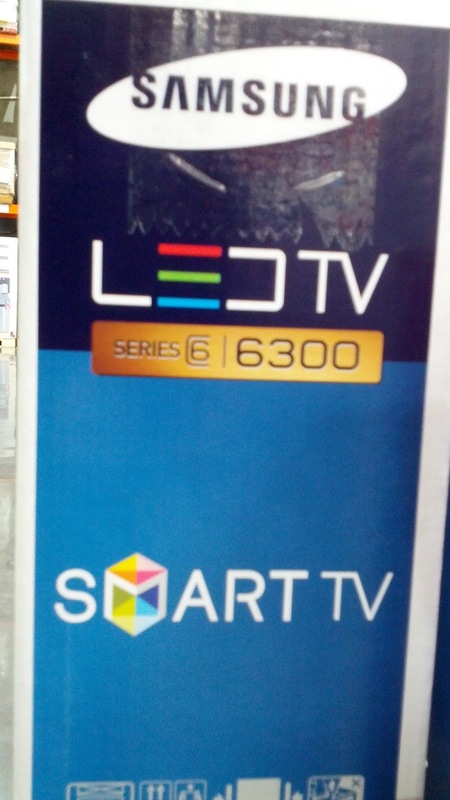 You won't be disappointed in the clarity and picture of this tv. 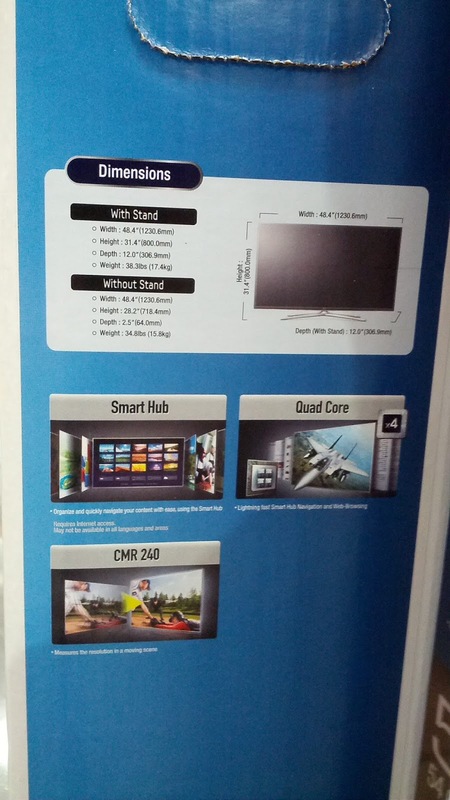 If you need something bigger, the same tv is available in 75 inch and 65 inch versions as well. If, however, you prefer getting one of those new curved televisions instead, then you might want to take a look at the Samsung 55" curved tv or the 65" one instead since both have that distinct curved screen which is the latest in television technology. 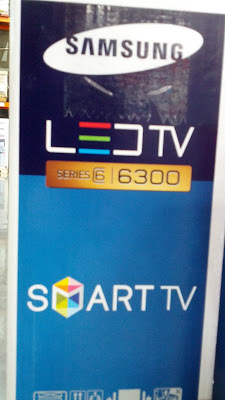 When it comes to televisions, Samsung gives a sharper picture than all other brands. 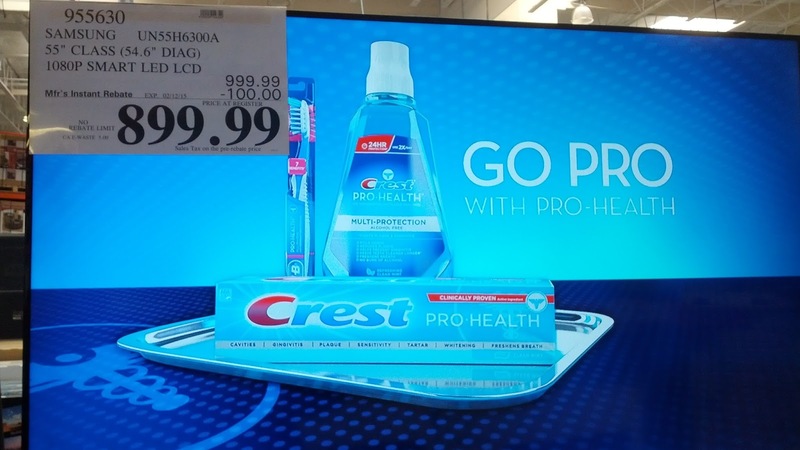 The Samsung UN55H6300A for sale at a great price including $100 rebate at Costco. You and your guests will love watching the big game or having movie night with the Samsung UN55H6300. The Samsung UN55H6300 55 inch tv at costco offers crystal clear picture for your programming needs. Experience an amazing picture with no compromises with Samsung 1080p high definition (HD). With a resolution twice as high as standard HD TVs, you can catch all the details of your favorite games and movies. Enjoy everything you love in one place. The Smart Hub organizes your entertainment into 5 panels. Effortlessly navigate through live TV, movies, streaming content, social networks, apps plus games and more. Enjoy a world of new apps, including social media, movies, sports, interactive games, television on-demand, weather, and more. Connect to what you love, 24/7. All apps are built specifically for your Smart TV and available from Samsung Apps. View every detail of action packed movies and sports with Clear Motion Rate 240, an excellent level of motion clarity. The Samsung CMR uses the frame refresh rate, image processor speed and backlight technology to measure fast action. Turn your phone, computer or tablet into a second TV with Smart View 2.0. Whatever is playing on your TV, Netflix, live TV, or VOD is streamed to your mobile device as well. This lets you watch your favorite movies, shows and sports all around the house. With Wi-Fi built right into your television, it's easy to connect to your existing wireless network. Browse the web and access Samsung Apps or other Smart TV features. WiFi makes it easy to enjoy all types of content on demand.